"Construction of the RoB is complete and it will be inaugurated soon," said Huda administrator Yashpal Yadav, adding they are trying to find a time slot from the chief minister's busy schedule for its inauguration. Of the 1,200m-long RoB, Indian Railways built the 128m stretch passing over the railway track. The ramps on either side were constructed by Huda, at a cost of around Rs 153 crore. "It was an important infrastructure project," said a Huda official. Huda is going to connect the expressway with roads going to Pataudi, Basai and all nearby sectors within the next few months. "It's expected to improve connectivity to 25 sectors on either side of the road," said he. Most of the residential projects in these sectors are either complete or near completion. 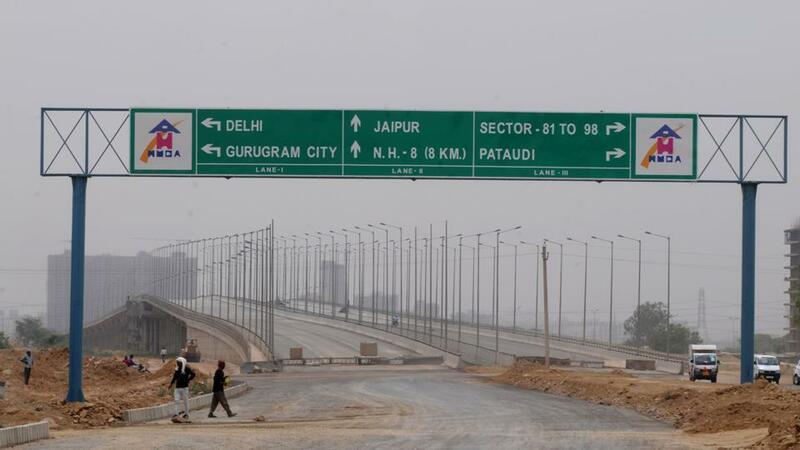 "The Basai RoB is a key milestone towards completion of the 18km-long Dwarka expressway. This will ease connectivity to various residential projects along the e-way, and fill the connectivity gap on the northern peripheral road," said Pankaj Bansal, director of real estate firm M3M Group.